Eternal Orthodox Church calendar for the 29.05 year 2017. He was a disciple of St Pachomius, being born and growing up an unbeliever. Coming to the true Faith as a young man, he was baptised and, having heard of St Pachomius, fled to him in his monastery unknown to his parents. 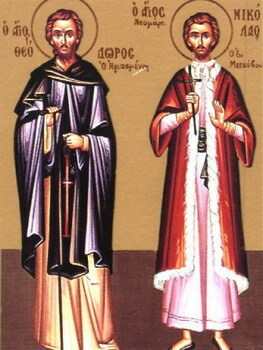 St Pachomius made him a monk and came to love him for his rare zeal and his obedience. When his mother came to fetch him back home, he would not let her see him, but prayed to God to enlighten her with the truth. And indeed, his mother not only did not take her son back home but herself did not return. Seeing a women's monastery, ruled by Pachomius's sister, close by, she entered it and was tonsured. After a certain time, Paphnutius, Theodore's brother, also came to the monastery and was tonsured. 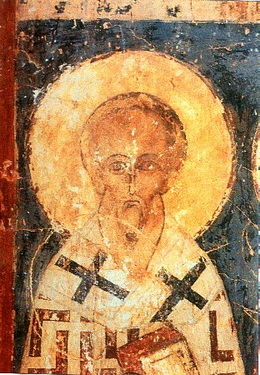 It once happened that the Bishop of Panopolis invited Pachomius to build a monastery for the many people who were desirous of the monastic life. Pachomius took Theodore with him, and entrusted to him the duty of building the monastery. 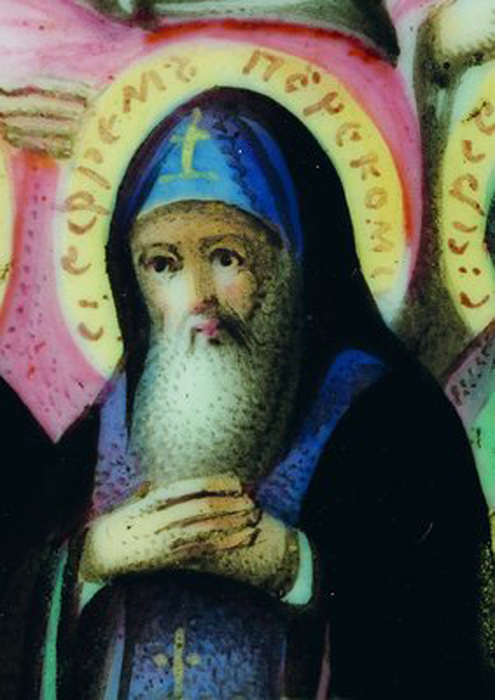 Upon Pachomius's death, Theodore became abbot of all Pachomius's monasteries and lived until great old age, guiding a multitude of monks on the way of salvation. He entered peacefully into rest and went to the Kingdom of eternal light in the year 368. St Gregory the Dialogist relates of her that she was a mere nine years old when the most holy Mother of God appeared to her on two occasions, surrounded by virgins bathed in light. When Musa expressed her desire to be included in the resplendent company of the Queen of heaven, the Mother of God told her that she would come for her and take her within a month, outlining for her how she should spend those thirty days. On the twenty-fifth day, Musa took to her bed and on the thirtieth day the most pure and holy Mother again appeared to her, calling to her in a quiet voice, to which Musa replied: 'Here I am waiting, my Lady! I'm ready! ', and she breathed forth her spirit. She passed from this life to life eternal in the fifth century. He was renowned for the rare austerity of his life. The Emperor Leo VI had married four times, and the Patriarch therefore forbade him entry to the church, and the priests who had married him were unfrocked. The Emperor cast the Patriarch out and drove him into a monastery. 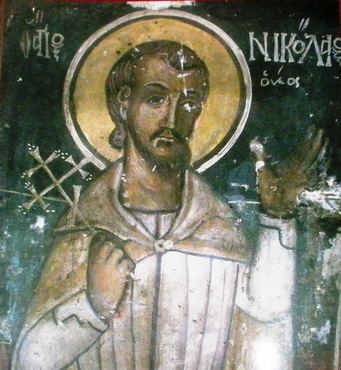 The delegates of the Roman Pontiff, Sergius III, gave their approval to the Emperor's fourth marriage, but, when the Emperor died, Nicolas was restored to the patriarchal throne and called a Council in 925, at which fourth marriages were in general forbidden to Christians. 'Mysticus' signifies the senior member of the imperial council. This saint was such at first, then a high-ranking courtier, but after this he forsook the vanity of the world and was tonsured. He died peacefully in 930. 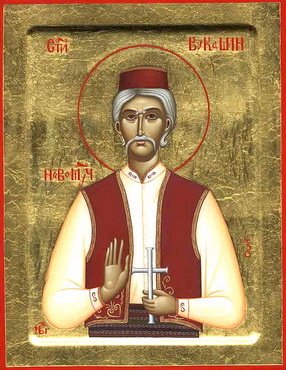 Born in Epirus, he suffered at the hands of the Turks for the Christian faith and was slain at Trikkala in 1617. The martyr's head is preserved to this day in one of the monasteries of the Meteora in Thessaly, and performs many miracles, heals the gravest sicknesses and is particularly renowned for driving locusts from crops. In the time of the Emperor Heraclius, in about 610, forty-four monks of the community of St Sava the Sanctified suffered for the Christian faith. Their heroism and sufferings were recorded by St Antiochus (Dec. 24th). Little is known about Vukasin, the Serb from Herzegovina. He was born in the village of Klepci, in Herzegovina, at the end of the last or at the beginning of this century. At the beginning of World War II, the Ustase arrested him and transported him, together with other Serbs of that region, into the notorious concentration camp of Jasenovac. After horrible days full of torturing, he was brought in front of an Ustasa who was supposed to execute him, but who said he would spare Vukasin's life if Vukasin cried loudly: "Long live our Head Ante Pavelic!". Vukasin replied calmly: "Child, you just do your job". Ustasa cut off his ear and repeated his request. Vukasin repeated his answer. Ustasa then cut off Vukasin's other ear and nose and scarred his face. The next body part was tongue. After repeating the request to Vukasin to utter the vicious words and hail the Head of Ustase, Vukasin once again calmly replied: "Child, just do your job!". Distracted Ustasa killed him, and afterwards went mad. 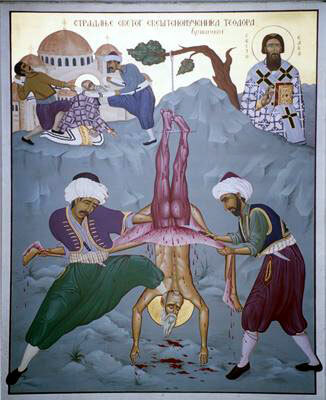 The Holy Martyrs Auda, Audiesos the Bishop and with them 16 Priests, 9 Deacons, 6 Monks and 7 Virgins were natives of Persia and they suffered for the Name of Christ in about the year 418 under Izdegerd. Спомен њен се врши близу Неоријског залива. 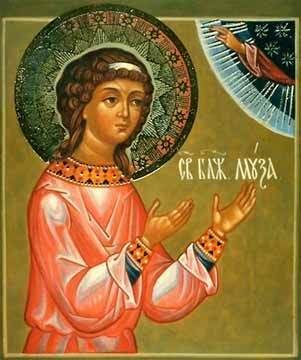 The Holy Martyr Peter suffered in the year 761 for icon-veneration at Blakhernae under the emperor Constantine Copronymos (he was whipped to death).